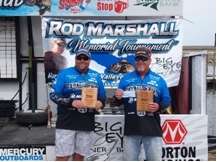 The 2018 NWT season kicked off May 5 & 6 with the Rod Marshall Memorial tournament at Harlan County Reservoir. 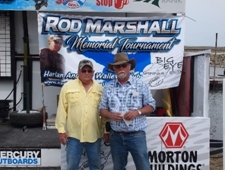 This was a 2 day combined weight event that was held in conjunction with the Harlan Anglers Walleye Club. 73 teams took advantage of the beautiful weather and fished the event. Harlan was definitely showing off what is has to offer in the walleye department. Teams caught walleyes lake wide on different presentations, but live bait fishing and pulling crankbaits were the primary presentations. The field was greeted with nice weather both days of the tournament. The close of day one saw the team of Derek Wagner and Derek Rossen sitting on top the leaderboard with 5 fish that weighed 16.68 lbs. Sunday the field was greeted with another beautiful day. When the weigh in concluded the team of Ben Seim and Todd Weber made a Sunday comeback to take the top spot with a total weight of 32.53 lbs. Seim and Weber were trolling crankbaits to catch their fish. 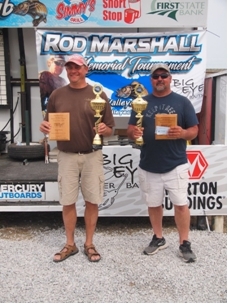 Finishing in 2nd place was the team of Wagner and Rossen with 30.99 lbs of walleye. They were also trolling crankbaits to catch their fish. 3rd place was taken by Williams and Leibhart with 27.26 lbs, they were using live bait and crankbaits to catch their fish. In 4th place with 26.79 lbs was the team of Sikes and Garver, they were live bait fishing and trolling crankbaits to catch their fish. Rounding out the top five was Hoard and Land with 26.73 lbs. They were also live bait fishing and trolling crankbaits to catch their fish. 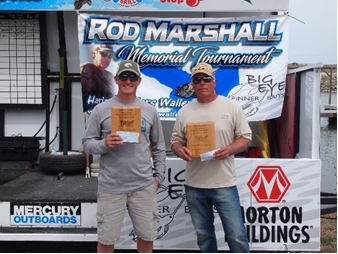 6th place was Mike Woerth and James Paul who weighed 26.54 lbs of walleye. 7th was Sikes and Sikes with 26.02 lbs. 8th was Detmers and Stuckard with 25.94 lbs. 9th was Jansen and Jansen with 25.31 lbs and 10th was Meierdierks and Lyman with 24.09 lbs. 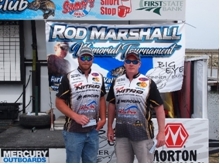 Big fish of the tournament was caught by Ben Seim and Todd Weber weighed in at 8.01 lbs. Overall, it was great turnout and we would like to thank everyone who fished the event and say a special thanks to the Harlan Anglers Walleye Club for putting it on. For complete results and standings check out the NWT website. The next event on the Trail is the Shut Up & Fish tournament held at Lake McConaughy on June 23rd & 24th. We hope to see everyone there.